Star Alliance is the largest of the three major global airline alliances, the other two alliances being SkyTeam and oneworld. The Star Alliance network consists of 28 member airlines who as a whole fly to more destinations (1,300+) than any other airline alliance. The alliances fleet is comprised of more than 4,500 aircraft that transport over 670 million passengers per year. What are the different Star Alliance elite status levels? The Star Alliance (*A) program offers two levels of status: Silver and Gold. Gold status is their top tier elite status and as such, offers significantly more benefits than Silver status for frequent travelers. How do I obtain elite status with Star Alliance? Star Alliance doesn't offer its own separate frequent flyer program. Each alliance member has its own frequent flyer program that operates independently, with its own rules. Joining any of the alliance members' frequent flyer programs will allow you to earn and redeem miles across the network's carriers on all qualifying flights. In order to make sure that you receive credit for the miles or points you're earning while flying, make sure to enter your frequent flyer membership number when booking your flight reservation. How do I qualify for Star Alliance Silver or Gold status? The Star Alliance partners' frequent flyer programs (FFPs) each have their own tiers that translate to the *A Silver or *A Gold status. The status can be attained in a variety of ways, generally, Silver is acquired through flying a certain amount of miles (typically 10,000-35,000 qualifying miles in a year or two) or segments (about 25 - 35 segments). Therefore, if you take long flights (those with more miles), you would most likely obtain your status with miles before obtaining status with segments. Some FFPs only require you to obtain a certain amount of miles (or points/segments) in order to receive status. However, other FFPs require minimum standards with a mixture of miles/kilometers AND segments. For example, EVA Air's FFP, Infinity Mileagelands, requires that 30,000 miles flown on EVA Air or UNI Air in addition to at least 6 International Segments on either of the two carriers. Gold status usually requires a traveler to fly more than double the miles/kilometers and segments than silver. Some FFPs may have even more requirements, like United Airlines' MileagePlus program, which requires US residents to meet minimum spending requirements to obtain status. What are the benefits associated with each status level? If your preferred flight is fully booked, you will be given higher priority on the wait list to book the flight, should anyone on the flight choose to cancel their booking. If your travel plans have changed, or if you're hoping to fly on a earlier flight, your status grants you higher priority on the standby list if the new flight is full. Over 1,000 lounges are available worldwide to Gold members who are traveling on a Star Alliance member airline, regardless of their class of service (First, Business, Premium Economy, or Economy). Gold members are allowed to bring one additional guest, who is also flying on a *A carrier departing from the same airport that day, with them into the lounge. Gold members are allowed an extra 20kg (44 lbs) OR one additional piece of luggage. Please check with each carrier, as each carrier's criteria varies. 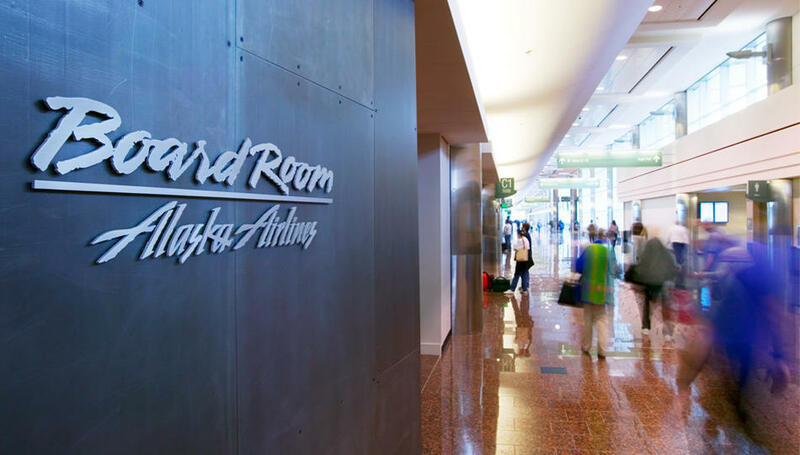 Members are allowed to check-in through the Priority check-in counters, which generally have shorter lines to get you on your way to relaxing in a lounge. Board with First and Business Class passengers at your convenience. Your baggage gets priority treatment too. Being one of the first to arrive at baggage claim allows you to leave the airport sooner. Who is eligible to access their lounges? Your flight ticket and your frequent flyer status or class of travel usually determines whether you have access to lounges. Additionally, certain lounge memberships may also grant you access. Customers departing from an airport, flying in International First Class on any Star Alliance member carrier's flight can access International First Class lounges as well as any* Star Alliance member carriers' lounges. These travelers can bring one additional guest into the lounge with them, even if the guest is in a lower class of service. The guest must also be traveling on a Star Alliance flight, departing from the airport that day. To access the lounge, present your International First Class ticket to the lounge agent. Customers flying in International Business Class on any Star Alliance member carrier's flight can access any Star Alliance member carriers' Business Class lounges in the airport that they are departing from. By simply presenting your International Business Class boarding ticket to the lounge agent, you can access the business lounges. However, you cannot bring in any guests. Domestic First Class customers flying on a Star Alliance member carrier's flight can access some* Star Alliance member carriers' lounges in the airport that they are departing from. With a Domestic First Class boarding ticket, you and one guest can access these lounges. *If you're flying United, you are not allowed to access United Clubs. Itineraries solely within the United States would not provide lounge access based on a first class ticket. Please check the LoungeBuddy App to discover which lounges you can access. Customers flying out on a Star Alliance member carrier's flight on Domestic Business Class can access some* Star Alliance member carriers' lounges. By presenting your Domestic Business Class boarding ticket, you can access the lounges. *If you're flying United, you are not allowed to access United Clubs. Please check the LoungeBuddy App to discover which lounges you can access. All Gold members are allowed into any* Star Alliance Member Carriers' Lounges whose entrance has the Star Alliance Gold logo. You and one guest can enter these lounges with proof of your Gold status and the boarding pass of your Star Alliance flight departing from that airport. *United members can only access United Clubs within the United States when flying on an international flight. With a paid lounge membership card that displays the Star Alliance logo and a boarding pass for a departing Star Alliance flight, you can access any Star Alliance member carriers' business class lounges and the Singapore Airlines Krisflyer Gold Lounge (Terminal 2, Terminal 3) in Singapore. Guest access varies, please see above for specific membership's guest rules. Day passes generally don't allow any guests to be brought in. Please check the LoungeBuddy App for specific guest allowances. With proof of Star Alliance Gold status and a boarding pass for a departing Star Alliance flight, you and a guest, who must be flying on the same carrier, can access any lounges* with whom Star Alliance has contract agreements. *Contracts vary by airport. Check LoungeBuddy for details. If you fall under multiple categories, you cannot combine the benefits and should choose the method that provides you the most perks. For instance, if you are flying First Class and are a *A Gold Member, you can still only bring in one guest. Should a carrier have an Arrivals Lounge, you are generally allowed access upon arrival after a flight, if you traveled with that carrier on First or Business Class ticket, or with a certain elite status. Rules vary by carrier, so please check the LoungeBuddy App for specific access methods. Star Alliance partners' lounges offer a wide variety of amenities. Generally, most of the lounges in their network offer high-speed wireless Internet, beverages and light snacks, comfortable chairs and quiet places to work. In order to obtain more specific details about the amenities offered by each lounge, download the LoungeBuddy App, free on the Apple App Store and the Google Play Store. Star Alliance offers access to over 1,000 lounges in airports all over the world. For specific airports and locations within the airports, the LoungeBuddy App is here for you. You cannot transfer miles and points from one *A airline member's frequent flyer program (FFP) to a different *A airline member's FFP. You cannot combine miles or points from one *A airline members' FFP with a different *A airline members' FFP. For example, if you had miles on both the United MileagePlus program and the Lufthansa Miles and More program, those miles cannot be combined into one program. You can redeem your miles or points earned in one program for travel awards on any of the Star Alliance partner airlines. You can transfer your mileage to a family member. However, certain fees may apply. Contact your airline's FFP. You can use miles or points to upgrade to the next class of service on many of the *A member airlines. You can request the upgrade when booking your flight reservation. Interesting Fact: The name and logo of this alliance were originally created to signify the five founding airlines: SAS Airlines, Thai Airways, Air Canada, Lufthansa and United. Tip: Star Alliance is often abbreviated as *A when chatting with frequent flyers.